In any business, the aim is to always find a long-term growth. Although it is not that easy to conquer, this feat can be overcome by way of building a cohesive brand marketing strategy. 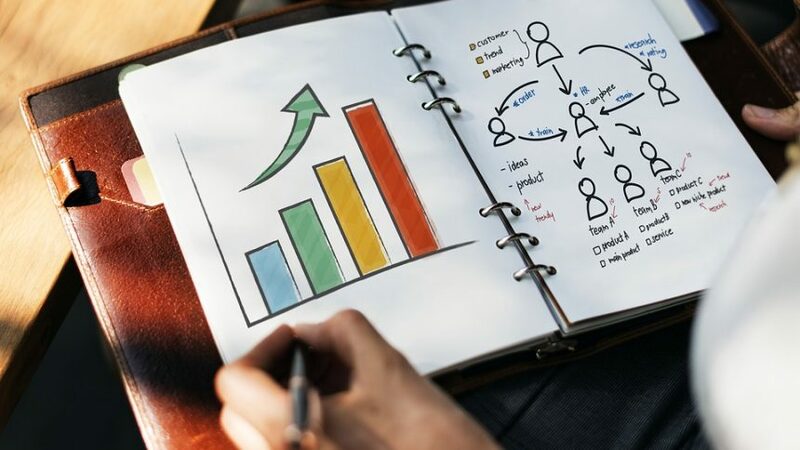 Whether you are a startup business or attempting to grow your connections, the success of all your business efforts relies on this strategy alone. If you are looking for ways to develop powerful and effective brand awareness, then be sure to incorporate these five strategies into your entire business development effort. You will soon see the benefits they offer. This marketing phenomenon was actually pioneered by startups, which are, in one way or another, businesses with tight marketing budgets. In its most organic form, growth hacking refers to the combination of creativity, social metrics, and analytical thinking to sell products or services while gaining exposure. This is where you use viral marketing, social media, and other low-cost methods to traditional media, and all of these are focused on one single purpose: growth. All decisions are informed by growth. Each product or service is redefined as a source of growth instead of defining them as something to sell. The fluidity this strategy offers keeps it low-cost and affordable. Guaranteed to generate at least 10 percent more leads compared to any traditional marketing scheme. A referral program simply suggests a systematic approach in incentivizing consumers to tell others about the company’s products and/or services. From implementing affiliate programs to customer referral programs, this brand marketing strategy offers instant credibility of existing customers and thus helps grow the entire customer base. They directly leverage the recommendations of satisfied customers. This strategy is absolutely popular with customers, be it new or recurring. Authentically determines a customer’s brand loyalty and, more importantly, reinforce it. Earned Media, also known as “Free Media,” is a strategy that is created without the use of paid advertising. Apparently, it can take several forms, such as feedback, social media testimony, television or radio mention, print editorial or article, and even word of mouth. Although Earned Media is guaranteed to raise brand awareness, this strategy can only be acquired organically. Otherwise, it would fall under the idea of paid and/or traditional advertising. Simply for the fact that it is “free” advertising. Apart from being unsolicited, it creates instant credibility within a targeted market. Increases brand awareness, especially when created via a valuable and informative content. As a business owner, you should give importance to networking events by joining tradeshows, business gatherings, or charity works. While networking events cannot be narrowed down, any event that can help you make connections fall under this strategy. This brand marketing strategy enables you to present or, at least, advertise your company’s latest products and/or services. Above all, this gives you the chance to either establish or create a relationship with key industry players. Note: Most networking events are packed with potential customers and prospects. It encourages face-to-face relationship building and builds upfront interactions. Composed of well-attended events and thus creates a target-rich environment which can be utilized for lead generation. Does not require any business size, as it offers the same level of access to information, connections, and customers. Also called SEM, this brand marketing strategy is a tool that can help grow your business website’s traffic via paid online advertising. One of the most popular methods is called PPC or pay-per-click links. To put it simply, this is where you either buy or sponsor a link that strategically appears on an ad in search engine results. And by strategically, it means that this link will appear depending on the service or chat the keyword used is related to. Most marketing these days is done online. So far, SEM has been a promising tool. A guaranteed cost-effective way of generating high visibility. Can be adapted easily to various markets and audiences. Does not require much effort from your part, as everything about this strategy is done online. A great percentage of consumers these days use the Internet to search and buy products.